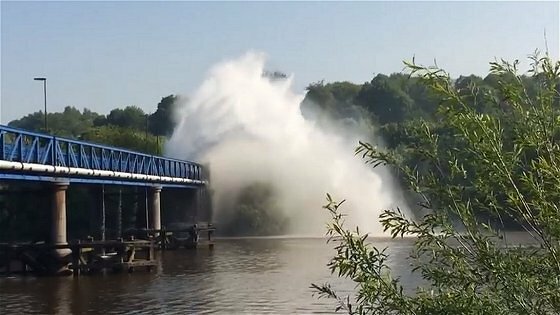 Excitement just along from the club on Monday (21 May) as a very large water main burst just at the north end of Newburn Bridge. It featured on BBC and ITV regional news that night. Workmen on site on Tuesday reckoned it might take 6 months to reopen! Maybe we should open a ferry service.